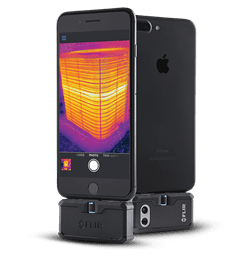 The FLIR ONE Pro helps you find invisible problems faster than ever, whether you’re inspecting electrical panels, troubleshooting mechanical systems, looking for HVAC problems, or finding water damage. 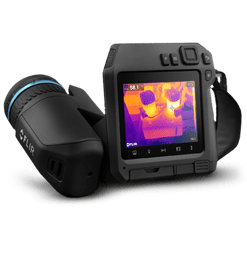 This FLIR ONE Pro-Series camera offers 4x the native resolution of the FLIR ONE Pro LT, for sharper image clarity that’s further enhanced by the revolutionary FLIR VividIR? image processing. 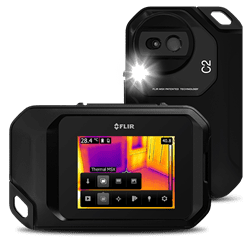 Measure temperatures more than 3x higher than any FLIR ONE model?up to 400?C (752?F)?with a sensitivity that detects temperature differences down to 70 mK. 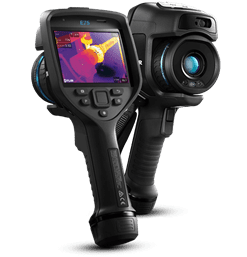 Packed with powerful measurement tools, the FLIR ONE Pro will work as hard as you do.